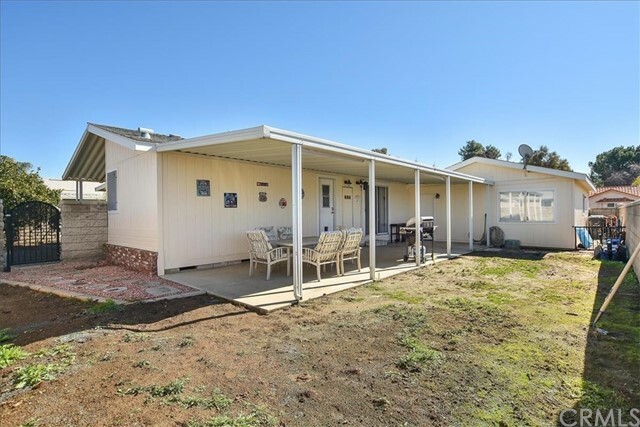 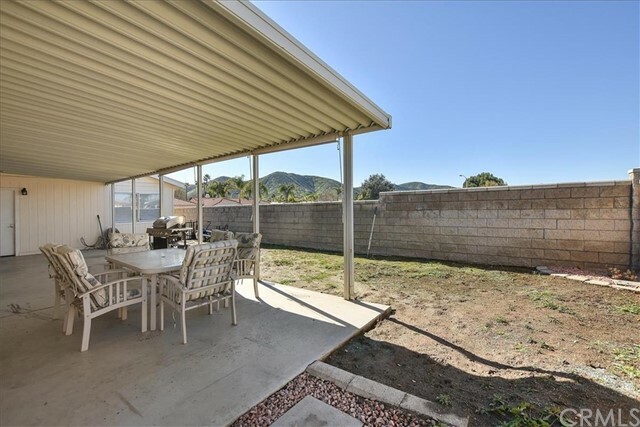 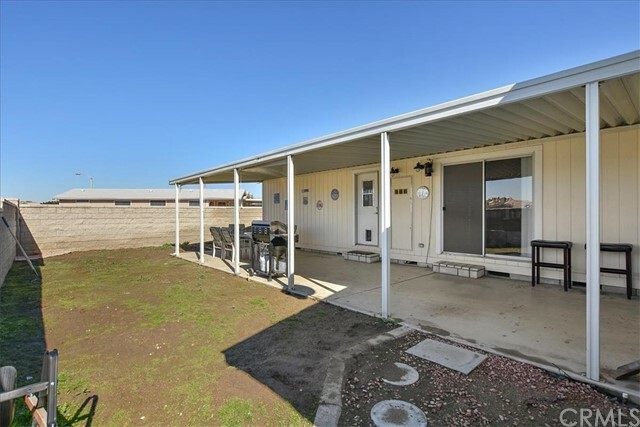 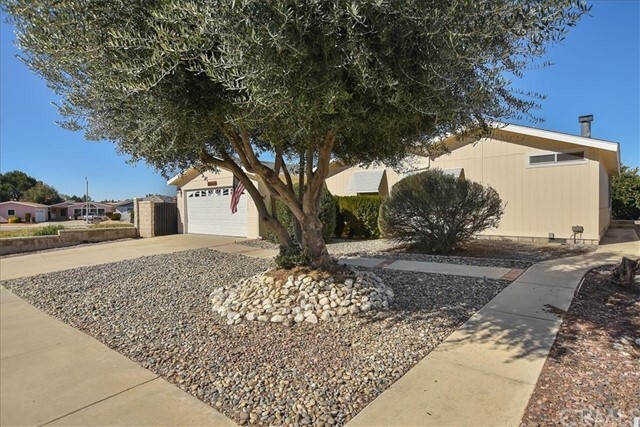 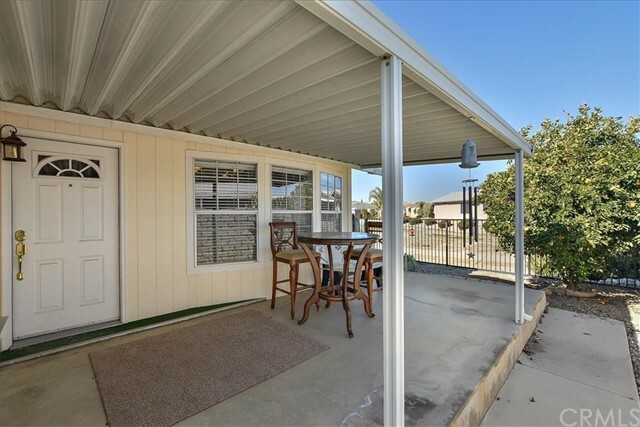 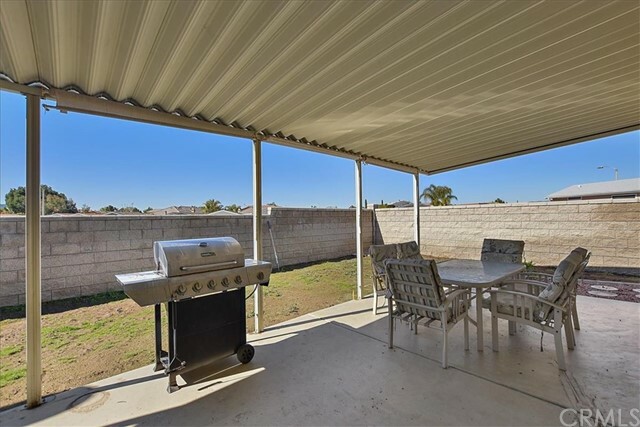 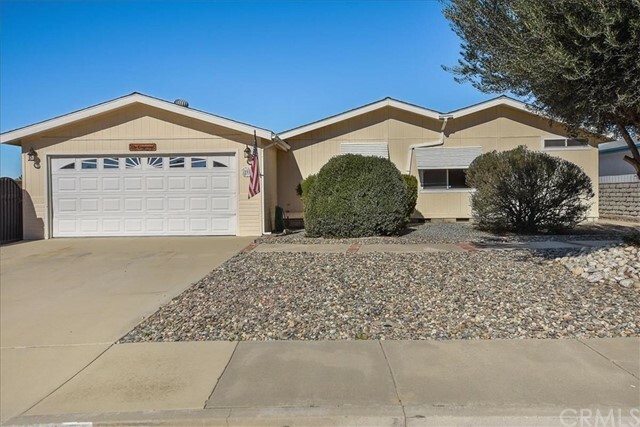 This Manufactured home on permanent foundation in Seven Hills 55+ Community offers privacy and an open feeling to view sunsets. 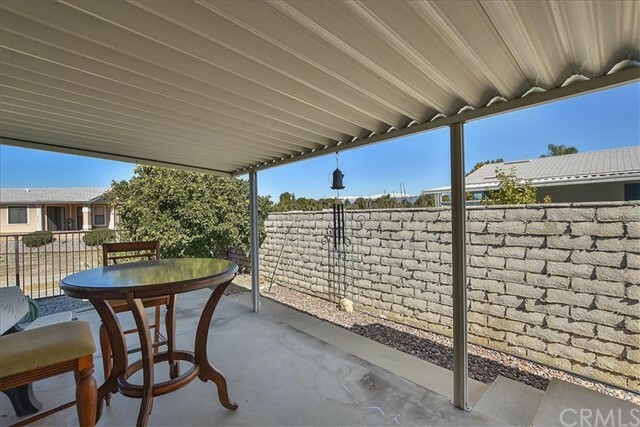 A private covered front porch with room for table and chairs is the perfect place for morning coffee. 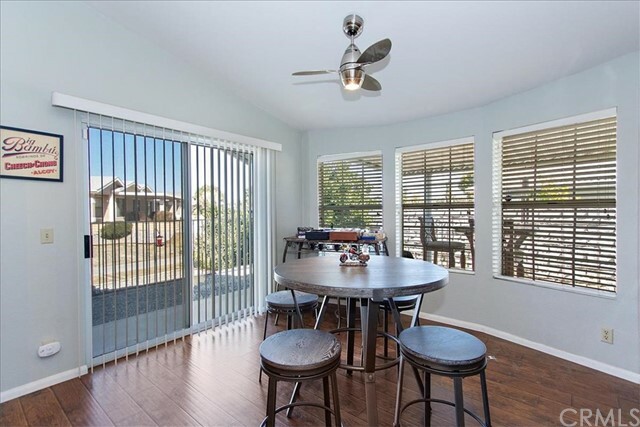 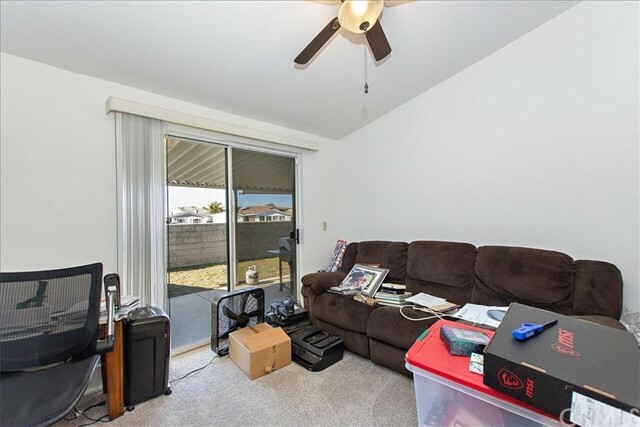 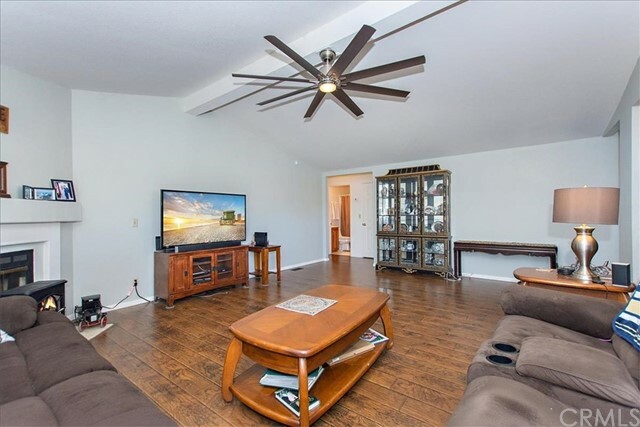 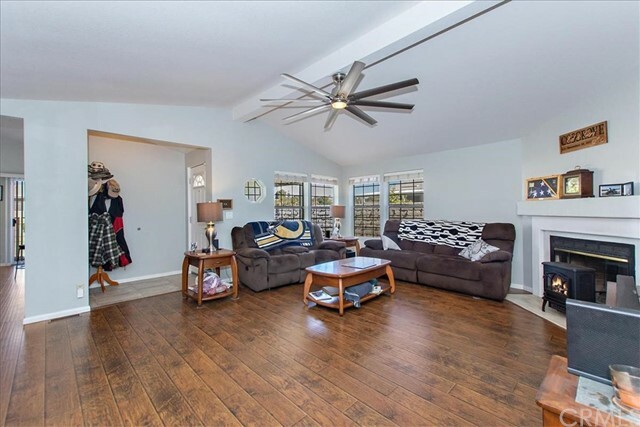 Home is open and bright with lots of windows and vaulted ceilings. 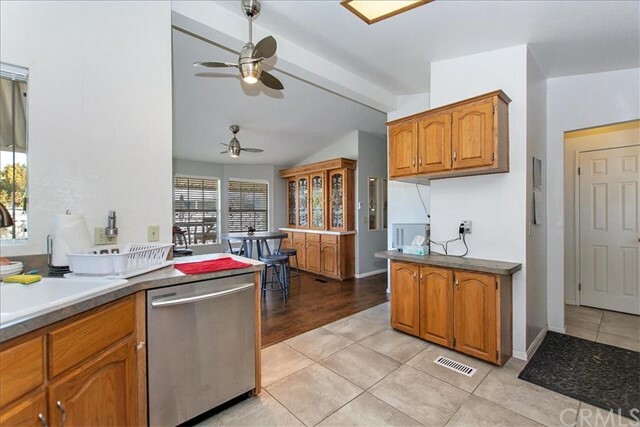 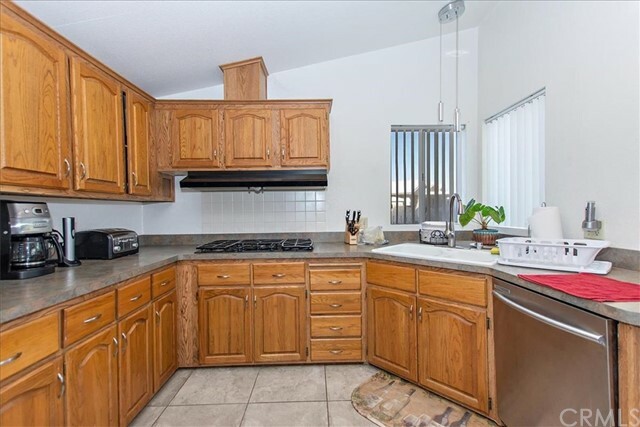 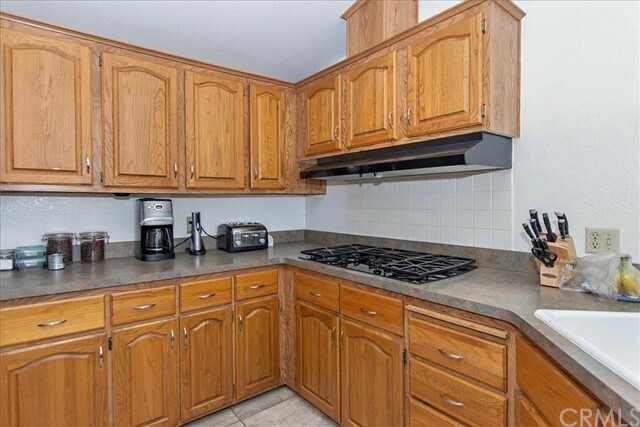 Home has been upgraded in recent years and has nice fresh feel. 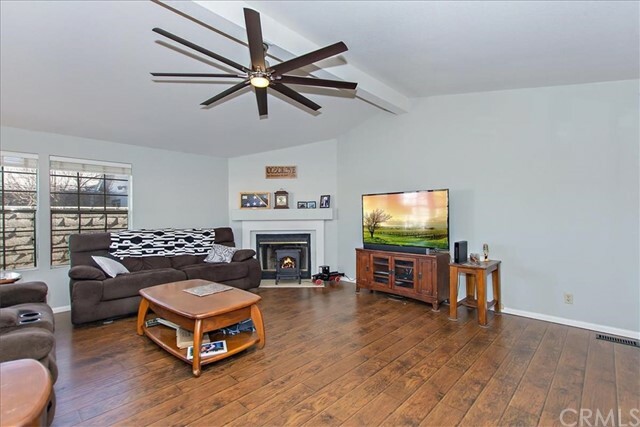 Fireplace in the living room for those cool nights. 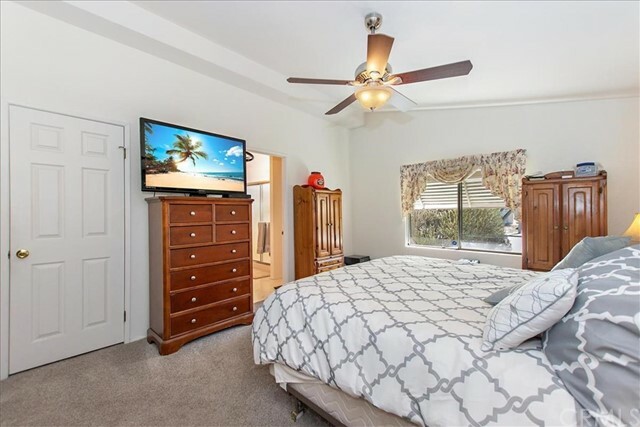 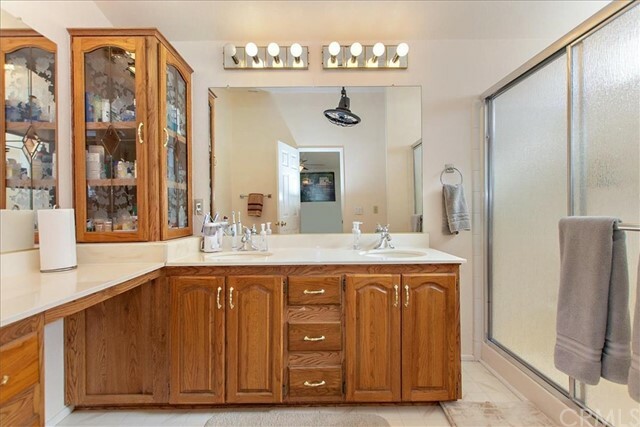 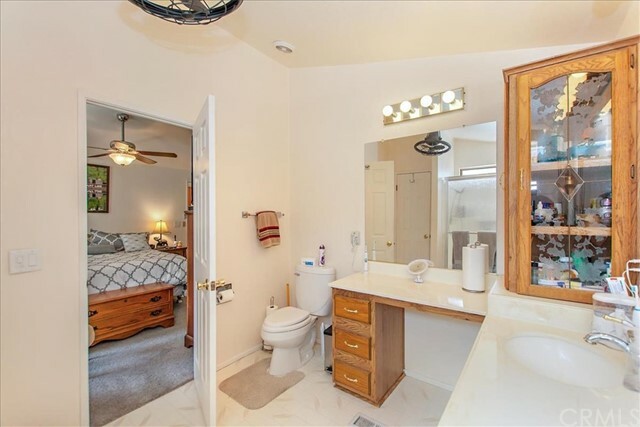 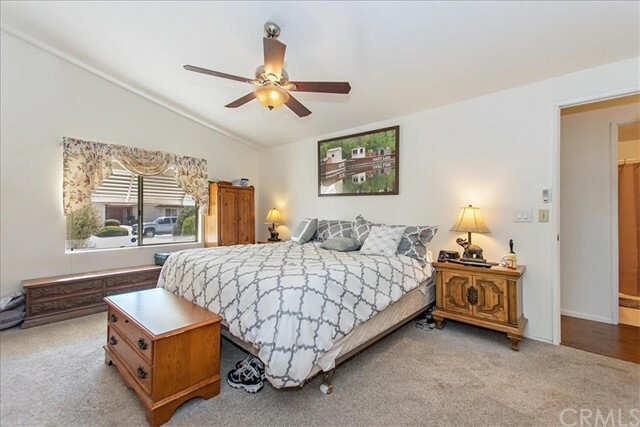 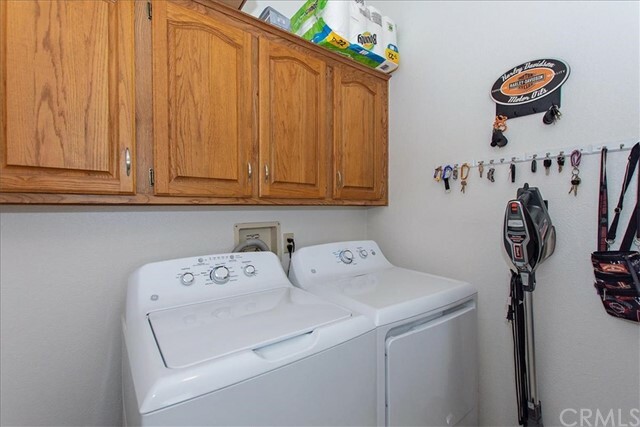 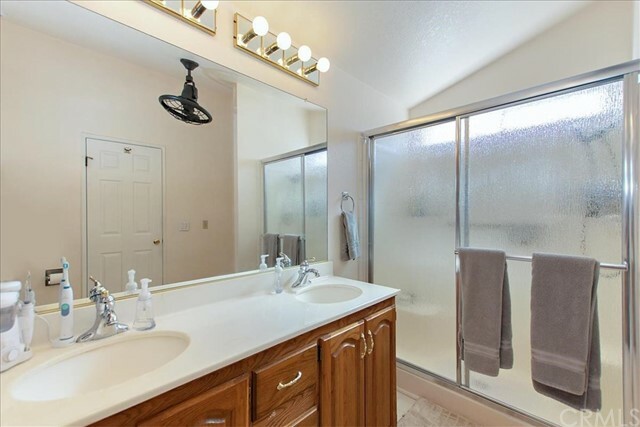 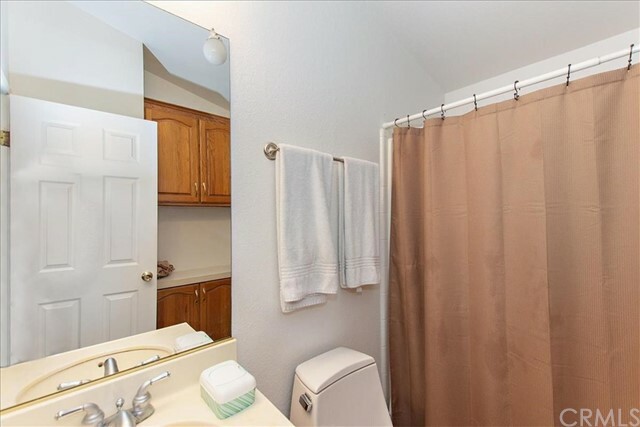 Full master suite with double sink, walk-in closet, and step-in shower. 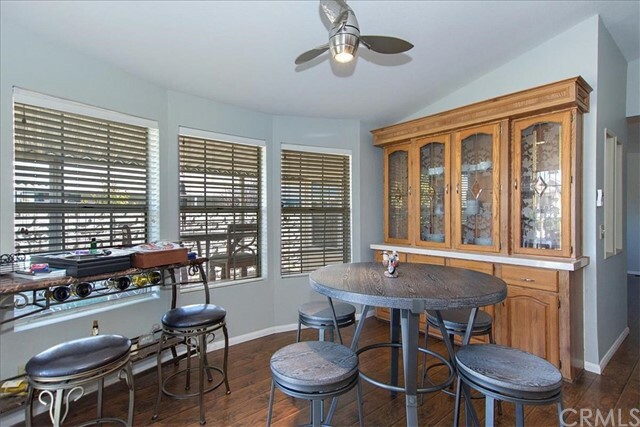 Kitchen is open and combined with dining. 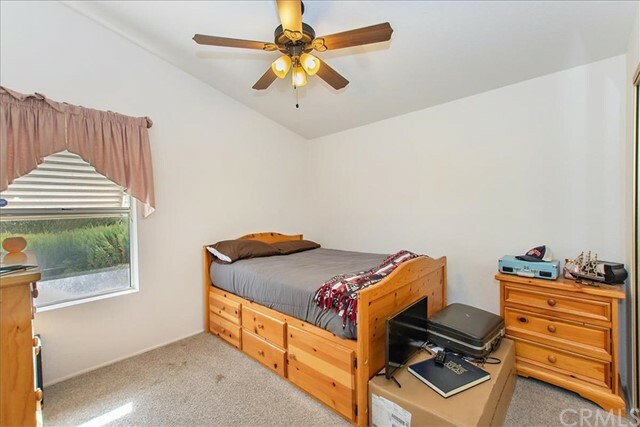 Nice size secondary bedrooms - one featuring access to the backyard through a slider to a large covered west facing patio. 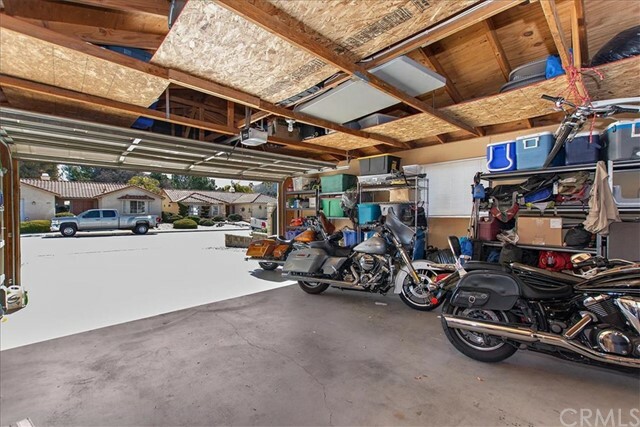 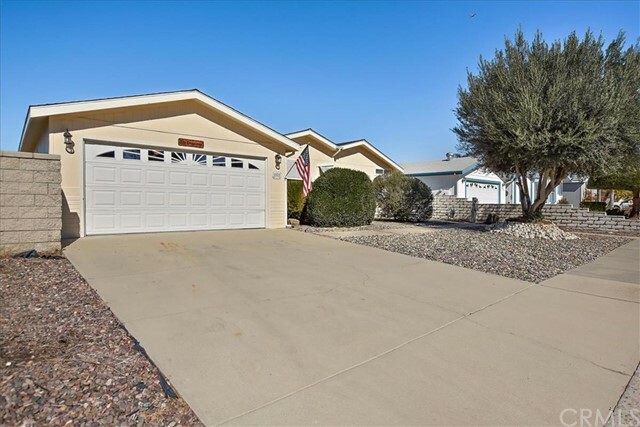 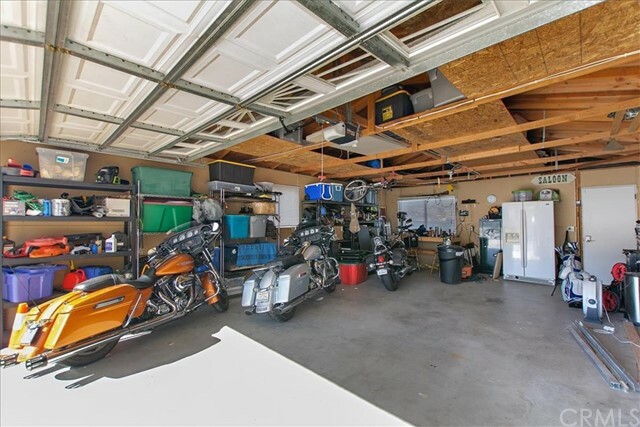 Oversized two-car garage offers plenty of room for projects as well as vehicle parking. 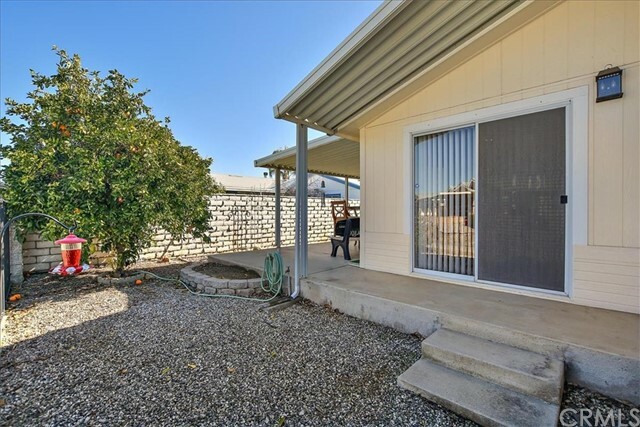 Backyard is surrounded by a block wall for extra privacy. 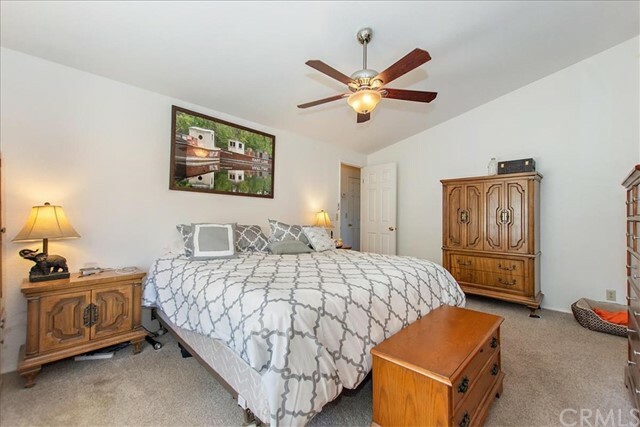 Home features 2' x 6' construction. 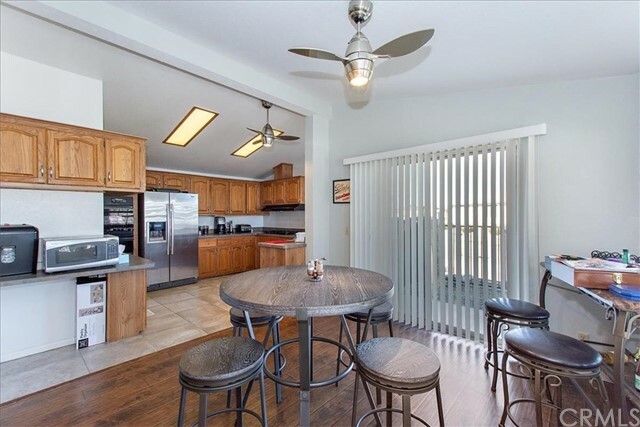 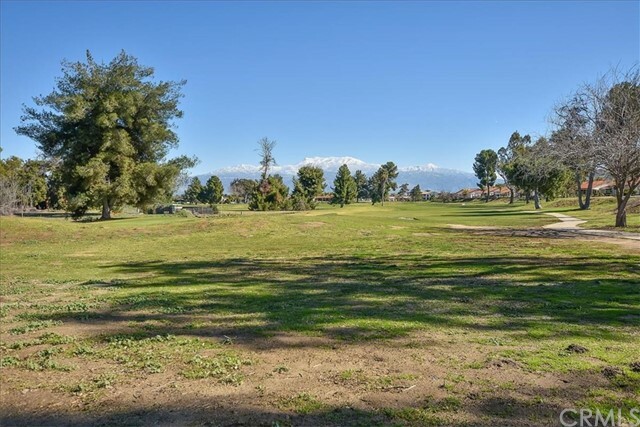 Low taxes, low HOA, golf course community and offering additional ammenities makes this a must see home.